The new poster is pretty cool, although personally I prefer the first poster they unveiled. However, in light of the allegations of plagiarism that surfaced surrounding those posters (read all about in The Hollywood Reporter here), Lucasfilm and Disney probably decided they were better off having a new poster altogether. 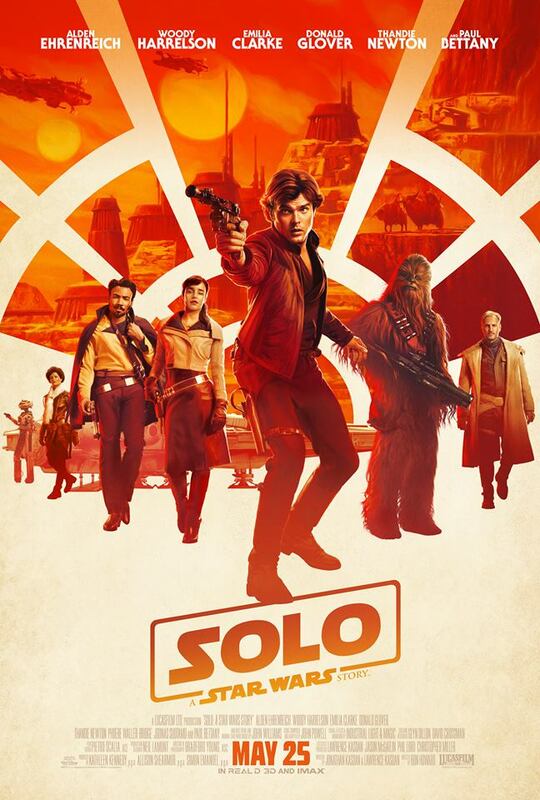 It's also worth pointing out that, contrary to some fake news reports (debunked brilliantly a few weeks ago by Alex Damon on the Star Wars Explained YouTube channel) about Disney removing guns from the Solo posters, Han's blaster is front and center on the poster. It just goes to show you can't believe everything you read online. Check out the new Solo trailer here! Solo: A Star Wars Story hits theaters on May 25th, 2018 and stars Alden Ehrenreich (Hail Caesar!) as Han Solo, Donald Glover (Atlanta) as Lando Calrissian, Emilia Clarke (Game of Thrones), Woody Harrelson (True Detective), Phoebe Waller-Bridge (Fleabag), Thandie Newton (Westworld), and Paul Bettany (The Avengers). The film is directed by Ron Howard (A Beautiful Mind), with a script by Lawrence Kasdan (The Empire Strikes Back) and his son Jon Kasdan (The First Time).